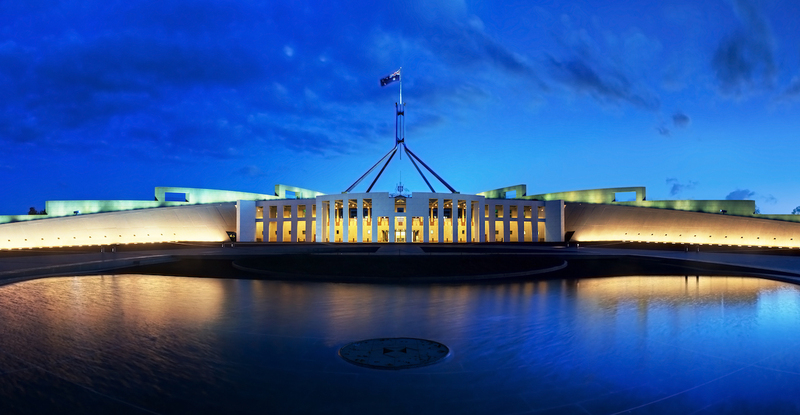 As the Australian Parliament opened for 2018 this week, the major parties began another year of spirited and often combative debate. What continues to be lacking, however, is substantial foreign policy debate. On the face of it, you could say that on both sides of the Australian political spectrum the 2017 Foreign Policy White Paper was relatively well received. The document—the first of its kind in more than 13 years—has been praised for offering a more nuanced view of Australian foreign policy-making because it addresses the shifting power balances that are taking place both within our region and beyond. The White Paper argues for greater manoeuvrability within the country’s conduct of foreign affairs and ultimately the need for Australia to chart a more self-reliant course as we move into an uncertain future. Scratch a little below the surface, however, and visible divisions between the major parties over the direction of Australian foreign policy are observable. 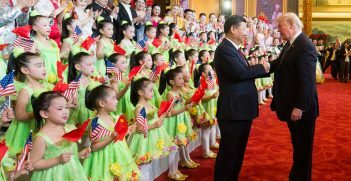 Most significantly, the Coalition and Labor remain at odds over their perception and approach towards China. On the one hand, the Turnbull government has become increasingly critical of China’s heavy handed approach in the South China Sea and of Chinese political influence in Australia. On the other, Labor appears to maintain a more optimistic assessment of the situation, with opposition leader Bill Shorten having recently commented that fears of China’s rise are overblown. The two sides also maintain different views concerning the nature of geo-economic competition in the region, most notably over China’s ambitious Belt and Road Initiative (BRI). In September 2017, Shadow Treasurer Chris Bowen announced that, if elected, a Labor government would keep an “open mind” as to how China and Australia could collaborate on the initiative. The Coalition meanwhile insists that assurance of robust social and environmental safeguards and the avoidance of unsustainable debt burdens on the economies of the region remain vital prerequisites for Australian engagement. Evidently, the major parties evaluate the changes taking place in our region in markedly different ways. If current trends are any measure to go by, it appears that the Coalition champions the idea of an open and prosperous Indo-Pacific underwritten by a US-led rules-based order. On the contrary, a future Labor government would be likely to place a premium on healthy ties with China. These differences in opinion should be openly discussed within parliament, and yet they have not been. The culprit? A deeply entrenched norm of bipartisanship in Australian foreign policy-making that restricts meaningful debate. In lieu of recent developments, it’s worth asking whether clinging to this principle is still—or indeed, if it ever truly was—conducive to Australia’s interests. The rationale for bipartisanship in foreign and defence policy can be aptly summarised in the phrase ‘politics stops at the water’s edge’. At its core, it espouses the idea that differences of respective political parties must be superseded in order to showcase a united front to the world and ensure long-term policy coherence and success. Foreign policy issues don’t fit neatly within the four or eight year periods that characterise domestic election cycles and administrations. However, the unintended consequence of relying too much on bipartisanship to address foreign policy issues is that debate surrounding it is silenced while the public is left ill-informed about the global issues impacting Australian interests. To properly understand the dilemma is to first recognise two distinct kinds of bipartisanship. Andrew Carr differentiates between bipartisanship that arises as an outcome of political debate based on agreement and that which operates as a process for resolving political issues via a norm established as a standard of appropriate behaviour against partisan debate. In the former case, political parties arrive at an agreement over the existence and nature of policy challenges and the correct policy prescriptions to address them through debate. In contrast, bipartisanship as a process restricts the normal workings of parliamentary democracy by punishing those who are seen to transgress the idea that partisanship be subtracted from issues of national interest. By its very nature, bipartisanship as a process fits awkwardly within Westminster systems in which more than two parties are routinely represented in parliament. Indeed, Kim Nossal has noted that foreign policy bipartisanship is in many respects a US construction that owes itself to that country’s system of government and separate governing institutions sharing political authority. In other areas of Australian politics, the quality of policy innovation is the result of open debate within the framework of parliamentary democracy; that Australian foreign policymaking should deviate from this process for the sake of policy continuation and exhibiting a united front is a tenuous argument. 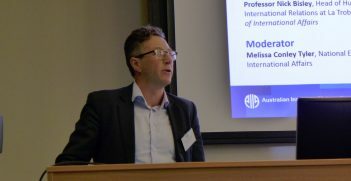 It can be argued that such an approach is what is restricting the ability of political institutions to come up with innovative policy solutions to address Australia’s changing place within the global political landscape. The second problem associated with the norm of bipartisanship is that a lack of substantial debate among political parties can render the citizenry significantly less informed on current and emerging foreign policy issues. The time and energy of political elites is directed towards issues and policy choices that are heavily debated because these require more substantial justifications in order for constituents to be persuaded of the value of one argument over another. This also has the effect of obscuring foreign policy blunders when they occur. Bipartisanship may be intended to take the politics out of defence and security policymaking, but in practice it only serves to conceal pressing issues of collective concern from the public gaze. Given the transitionary period that Australia finds itself in—renegotiating old and new relationships in an uncertain political environment—it is vital to encourage meaningful debate regarding Australia’s interests and approach towards foreign affairs. This must start with questioning the utility of the norm of bipartisanship in Australian foreign policymaking. It is not enough to conclude, however, that parliamentary democracy calls for partisanship debate in order for the development of sound foreign policy. If the petty naming and blaming characteristic of recent decades in Australian politics is any measure to go by, it does not take a stretch of the imagination to envisage political parties using foreign and defence policy issues as a means simply to advance partisan advantage. We must therefore attach the vital condition of quality to partisan debates over foreign policy issues, otherwise we lose sight of the goal of expanding the scope of our policies and advancing Australian interests. Alexander Trauth-Goik graduated from the University of Wollongong with a Bachelor of International Studies (First Class Honours). 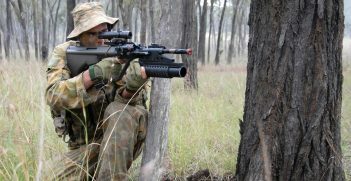 The Australian government's recent decision to adopt an ambitious new defence manufacturing plan has met with controversy. Far beyond most job-creation initiatives, Malcolm Turnbull's plan has international ramifications.